Shopify is arguably the fastest, most flexible and most user-friendly ecommerce platform on the market to use and manage. 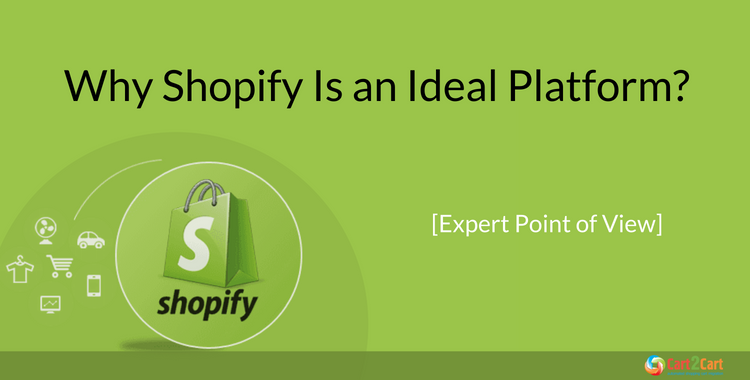 The process of migrating to Shopify from a different hosted platform is no different. One of the many benefits of Shopify is that there are already many measures in place to make migration as hassle-free as possible. After all, it’s in Shopify’s interest to encourage migration to their platform, and some of the biggest selling points for any customer are ease and convenience. Shopify goes above and beyond in this regard. Will I lose any of my store’s data when migrating to Shopify? The main concern of many ecommerce store owners when beginning any online migration process will be the potential loss of essential storefront features. However, luckily, Shopify has a very strong CSB tool, which moves products and customers in and out seamlessly. There are also RSS feeds in place to transfer blog posts correctly and APIs set up for the smooth transfer of orders. You can therefore rest safe in the knowledge that nothing on your website will be lost or destroyed. In addition, any data being transferred is carefully regulated by Shopify. While some open-source platforms (and indeed closed-source platforms) will let you move data that is not necessarily compatible with their format, meaning that your data will not work properly on your new website or that you may be left vulnerable to security threats, Shopify does not allow any data through that does not correlate into their platform. This means you will not need to fix any layout or security issues later down the line. Shopify is therefore much more functional and safe than other hosted platforms in this respect. What aspects of my store can I keep intact during the transfer? Products (with variants, images and meta info). Product categories (with all images and meta info). You can therefore maintain your storefront, keeping it just the way you want it, but also instantly customise your website to both work and look better using the wide range of Shopify apps available to you. In fact, Shopify’s quick and easy customisation features are what really sets it apart from other ecommerce platforms. What customisation options will I receive by moving to a hosted platform? One of Shopify’s biggest strengths as a platform is that it is highly customizable and tailored to different brands on an individual basis. You therefore do not have to compromise any aspect of your store’s image or functionality when transitioning to Shopify. In fact, by migrating to Shopify, you will be making the process of adapting and perfecting your store’s image to your brand identity considerably faster easier. Shopify also grants Shopify Plus stores a higher API limit - as they’re bigger stores and will have to transfer more data – and will even grant higher limits on individual request. · Crushpics is one app we find particularly effective, as it automatically compresses your images during migration, so they are instantly optimised for search engine algorithms, meaning your store will appear high up in Google’s rankings and be found more easily by potential customers. · In addition, we recommend the SEO Manager tool which tracks when a customer lands on a page that has no content, so that this can be logged and fixed. Slack is a chat application which enables constant communication between staff members in a fun and informal manner. Back in Stock allows customers to request for items to come back in stock, thus increasing your store’s profits overall. Facebook Store allows you to market your products onto Facebook, taking advantage of society’s social media fixation and enhancing your ecommerce marketing strategy. But what makes Shopify worth migrating to in the first place? · 100% store uptime during migration: When migrating to Shopify, you do not have to sacrifice your sales in any way as Shopify very much puts your business’ needs and sales requirements first. In fact, the transfer of data is so quick and easy that you can continue business as normal throughout the changeover. Because of the constant uptime throughout the migration process, none of your valuable time or revenue will be lost. · Increased revenue: In fact, over time, switching to Shopify can boost your store’s sales significantly. Family-owned camping and holiday business Newquay Camping Shop is a prime example of this, as just one month after migrating from Magento to Shopify using Cart2Cart’s services, the local business’ revenue was up by a staggering 40%. The store’s conversion rate was also boosted by an impressive 24.5% and Director Damien Rowe claims to have experienced a much larger number of customers than in that same period the previous year. · Ease of management: Shopify’s combined simplicity and effectiveness comes in particularly useful when internally training staff, as it is easy to learn the basics, and things like third party connector tools are simple for ecommerce managers to intuitively understand and learn. It also has a simple, clean interface which is efficient to navigate, meaning you can focus on the running of your business, rather than trying to wrap your head around coding. Less time is therefore wasted on staff training and staff will be more satisfied with the running of the business as well. · Support and assistance: If you are a Shopify Plus store, you receive 24/7 support from Shopify, but even if you are not, Shopify will always promptly reply to emails and will happily troubleshoot for you - again, just another one of the many benefits to Shopify being a hosted solution. · Search engine optimisation: It is also very easy to preserve your forwarding lists, so you do not lose your ranking on Google and have to start afresh. · Versatility: This is another huge advantage of switching to Shopify, as you can migrate from over 75 different platforms, such as Magento, WooCommerce and GoDaddy. · Security: Importantly, Shopify is incredibly safe, as all data is encrypted and stored within its own system. Overall, Shopify is a versatile, cost-effective and highly customisable ecommerce platform which is simple and intuitive to migrate to. You can either retain your store’s original image after the migration or revamp your website entirely, and while some aspects of your store may not transfer across directly, Shopify does offer a wide variety of apps, tools and plugins to smooth the transition as much as possible. Of course, no migration is totally hassle-free, and some external guidance may be required. However, this hosted platform will offer you great support throughout the migration process, while still allowing you to enjoy the freedom and autonomy that you would get with other more open-sourced platforms such as WordPress. All things considered, Shopify is most definitely the ideal platform for any ecommerce business – either small or large - looking to increase their sales, customer engagement, ease of management and overall online success.